I grew up in a culture of counterculture politics. My parents met in Berkeley during the early seventies, which should tell you pretty much everything you need to know; they were, separately and together, involved in Vietnam protests, equal economic and political rights and liberties, tenants’ rights, and the environmental activities around Peoples’ Park. It’s partially in tribute to them that I, now, have settled in Berkeley myself, after a lifetime growing up in Britain. It still confounds me that it’s considered impolite to talk about politics in some circles, because growing up, it was impolite to not. Although I’m on a more capitalist trajectory, seeing the practical need to earn money as a form of self-protection and freedom, when push comes to shove I’m behind modern activist politics completely. These movements are not necessarily related, but I broadly support Occupy, WikiLeaks and Anonymous; I regularly donate (albeit relatively modest sums) to the EFF, the Southern Poverty Law Center, Planned Parenthood and the ACLU. My politics often inform the projects I work on. Elgg was originally an angry response to the license fees and terms imposed by educational software, which siphons huge amounts of public money away from teaching. I became a part of latakoo because of its social mission to support journalism. I’m proud of both, but there’s no denying that both are commercial businesses, with investors and shareholders; a far cry from direct action. In fact, publicly, to my shame, I’ve mostly been quiet. So have most of us. On Friday, I attended an event for Internet Freedom Day, celebrating a year since SOPA was struck down, and also memorializing Aaron Swartz, who had a lot to do with that victory. One of the attendees was Peter Eckersley, the Technology Projects Director at the Electronic Frontier Foundation, who stood on a chair, gave a beautiful speech, and then called the Internet community to action: why are so many Americans, per capita, in prison? The problems of Aaron Swartz’s specific case are numerous, but isn’t this the larger problem? He suggested that this is the problem that Aaron would have preferred us to tackle. And why can’t we, as a community, tackle this problem? Sure, it’s not specifically a technical problem. But the technology community can certainly help find a solution. We can use big data analysis to look at case reports, determine trends and potentially uncover problems. We can build systems to create better reporting of miscarriages of justice. And we can accept that the technology world is well-connected, wealthy and well-educated, and can make an enormous impact on any social issue if it chooses to. There are network effects to activism, and the tech community has strength in numbers. This is exciting to me. I believe that activists like Aaron – and the thousands of likeminded people that we’ve never heard of – are extraordinarily brave, and prescient. I do think the tech sector is about to be more political, and I intend to lend my support, my skills and my momentum wherever it is needed. It’s an exciting time for all of us. It’s time for each of us to ask ourselves: do we want to change the world, really, on a societal level – or not? Spain’s new political party, the Partido de Internet, is a policy-agnostic political party that makes its decisions based on the will of a community based on Agora, a virtual parliament platform. PDI is a policy-agnostic political party that does not have, nor will ever have, a political ideology. It has a single and radical proposal: PDI elected representatives will vote in congress according to what the people have previously voted through the internet using Agora. 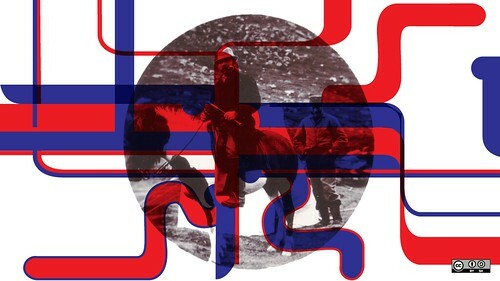 [...] Agora is a software project with a clear aim to improve our democratic system. The project is well underway but still not complete, and is driven by voluntary work donated generously by members of our team. We welcome anyone, developers, researchers, security enthusiasts, designers, or anyone else who shares our vision, to collaborate and help bring this vision closer to reality. Representative democracy as we know it today emerged because it was unfeasible for each citizen to participate directly. The Internet fundamentally changes that, and reveals political parties to be gatekeepers: unnecessary levels of organizational abstraction that are unduly influenced by capital rather than the will of the people they declare themselves to represent. This is a sea change in how government works, and incumbents can see it coming. It’s worth examining the UK’s Internet surveillance plans in this light. David Cameron said that monitoring emails, web use and phone calls would protect against “terrorist threats that [...] that we still face in this country”. Could that include citizens peacefully organizing to push for greater democracy? I don’t think it’s going out on a limb to also look at policies regarding anonymity and privacy online in this light. Tracking doesn’t just relate to advertising; it’s also always been used to monitor political dissent (alongside agent provocateurs). This is a subject that relates to how we are governed and – though it sounds almost insanely melodramatic to say it – the balance of world power. Owning and controlling your own data needs to be a democratic right. I’ll be watching the PDI with interest; together with the Pirate Party, they represent a very interesting new phase in how technology and society interact. And just as news, publishing, entertainment and retail have been disrupted, the incumbent political parties had better take notice. 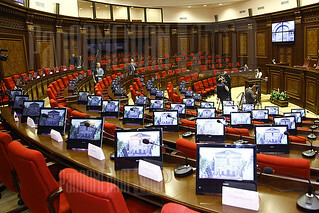 Photo of the Armenian Parliament by PanARMENIAN Photo, released under a Creative Commons license. Party politics has to be the next major model to be disrupted by the Internet. If you want to change the world, that’s the big fish. What might an Internet-informed political framework look like? How would it interact with legacy parties like the Republicans and the Democrats? The term open source politics was bandied around in the 2004 US election, but at no point did anyone really mean open (policy decisions were always closed to deep participation from the outside world) or source (the underlying decision-making processes were fixed). But what if we had a political party that really did work like an open source project? Software developed under an open source methodology is typically written in the open, with each changeset published to the world. The code is secure; it can’t be edited by just anyone. Instead, users can fix problems or suggest new features by submitting issues – text descriptions of bugs or new feature requests – or patches – actual code that implements these changes. A user can easily submit a patch that fixes another user’s issue. It’s then up to the project team to merge in the patches and accept or reject issues. The same processes could work in politics. We already have organizations like mySociety and the Sunlight Foundation that effectively maintain issue lists for localities (see FixMyStreet) and shine light on the legislative process. If those things were formalized and not just endorsed but embraced by government, I believe the result would be a significantly fairer system. For example, imagine if lobbyists were forced to propose changes to legislation in public, as a patch. Imagine if the Startup Visa campaign could have submitted their legislation as a patch in a centralized place. Imagine if local issues could be linked across a centralized platform to show patterns in public, and if people could submit legislative solutions. A lot of things would need to be done before this could even begin to be viable. Open source projects suffer a reasonable amount of trolling; imagine what a government would have to endure. There would need to be a good way to filter submissions while ensuring that everyone had a fair chance to be heard. It’s probably a naïve idea; certainly one that isn’t likely to be implemented any time soon. But I can dream. Photo credit: Rick Perry (who I’m pretty sure compared himself to Galileo today) by Gage Skidmore, released under a Creative Commons license. Citizen lawmakers: is Iceland the future of politics? Note: it’s been pointed out in the comments (and elsewhere) that the source article is full of inaccuracies. Here’s the rebuttal. Nonetheless, I think there’s strong interest in a new kind of democracy that takes its inspiration from the hierarchy flattening we’ve seen on the web. It’s an issue I’m still keen to explore. I’m intrigued by this opinion piece by the The South African Civil Society Information Service. It’s certainly true that Iceland hasn’t been making headline news despite its role in the current economic downturn. The governmental change they’ve been experiencing there has been off the radar for a lot of people, myself included – but it’s incredible, and deserves much more attention. Following deregulation of its banking system, Iceland’s foreign debt was around 900% of its Gross National Product, and when the financial crisis in 2008 killed off its three main banks, the IMF and the EU offered to take on the debt. 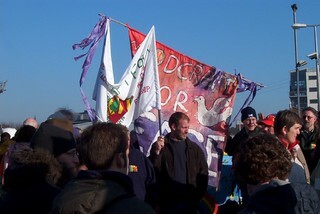 Elections were brought forward to April 2009, resulting in a left-wing coalition which condemned the neoliberal economic system, but immediately gave in to its demands that Iceland pay off a total of three and a half million Euros. This required each Icelandic citizen to pay 100 Euros a month (or about $130) for fifteen years, at 5.5% interest, to pay off a debt incurred by private parties vis a vis other private parties. It was the straw that broke the reindeer’s back. The Icelandic Head of State refused to ratify this into law, and instead held a referendum, in which 93% of the population voted against repaying the debt.